This is a quick and dirty Contributions page. Type a part of the user's name and autocomplete will match it. Hit "Apply" to see a list of contributions by that user (note: contributions by non-registered authors are lumped under "Migrate Wizard"). Deep within the forbidding depths of the harsh Raurin desert lies a great pyramid, the resting place of a legendary king from a distant age. Long-forgotten lore has recently resurfaced indicating that the pyramid is also the location of a powerful artifact of elder days, the Staff of Mastery. 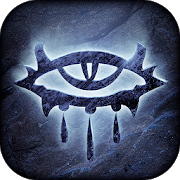 Now some of the most powerful factions in the Forgotten Realms are summoning their champions, preparing for an assault upon the pyramid to get the artifact before your rivals can recover it. You are one of those who has been summoned to serve your Cause. Do you have what it takes to survive the Pyramid? Soul Keep is my first attempt at a scripted starting adventure where the crew of a ship discover a plot involving the local Cleric wanting to become immortal by destroying the local lighthouse, destroying trade with the island as a result. He employs Smugglers who trade weapons and armour to nearby Goblins in return for the gems that they mine. The adventure requires a DM, particularly to remove the bug where the last villain is unkillable. I haven't corrected this myself as it would involve tagging the module to require expansion packs. A DM guide is available. Ages come and go, each burying its secrets in the sands of time. Some ages slip quietly into history, while others end in explosions of fire and violence leaving permanent scars on the world. This is the story of two ages, one from years long forgotten, and another yet to begin. Like so many other heroic tales, it starts in an obscure place, a small town on the edge of nowhere in a land where man's biggest threat is himself. 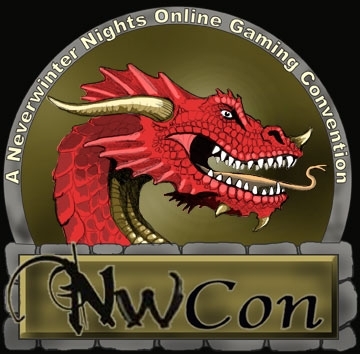 If you are looking for a group to play through this module with, I STRONGLY recommend Neverwinter Connections. This module includes an in-game module guide for the DM, giving backgrounds of NPCs and quests, as well as allowing the DM to control the flow of the game on the fly, although a DM is not required. Five years have passed since a band of heroes saved Thane Durgan of Torgan's Delve from a deadly curse and betrayal. But unbeknownst to the dwarves, a darker evil now stirs in the depths of the Underdark far under Torgan's Delve, an evil that will threaten not just the Delve, but far more... This module is a lengthy multiplayer campaign that I created as a sequel to my campaign series of modules that included 'Torgan's Delve,' 'Drums of War,' and 'Paths of Shadow.' 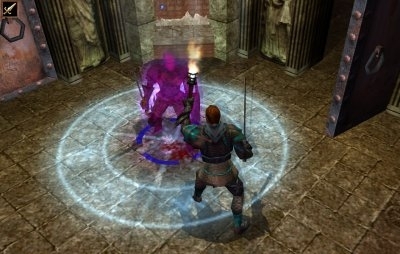 While players who have adventured in Torgan's Delve before will gain more from the default plot in this module, no previous experience from that game is necessary to play. Somewhere in a lost and lonely valley of grim and foreboding aspect, and feeling, lies a labyrinthe crypt. To slay the unwary and uninvited, it is filled with terrible traps and not a few strange and ferocious monsters. They guard rich treasures, both precious and magical. Be warned that the Tomb was built by the demi-lich Acererak, who still wards his final haunt. This being is said to be possessed of powers that make him nearly undefeatable. By all accounts, it is quite unlikely that any adventurers ever find the chamber where his bones lie, for the passages and rooms of the Tomb are fraught with terrible traps, poison gases, and magical protections. Futhermore, Acererak has so well hidden his crypt that even those who avoid the pitfalls are not likely to locate it. Only the bravest and strongest should even consider the attempt, and if they do locate the Tomb, they must be prepared to fail. An update of my self-contained campaign module set in the Moonshae Isles of the Forgotten Realms. This version was updated by Festivus, who installed CEP (1.52), the HABD death system, supply-based rest, and the latest DMFI package. 'Shades of Moonshae' is a campaign module that is designed for play over several sessions with the same group of adventurers. Over twenty areas, a storyline that includes various sub-quests, numerous NPCs for DM possession, dozens of custom items and creatures, and hundreds of encounters await your exploration. Designed for team-oriented play by a group of 4-7 characters starting at 1st level. A Dungeon Master is required. Fugitives (the Hunted) have escaped from the Trailsend, Damara death row prison. Forced to flee westward toward the Galena Mountains by Damaran authorities, they must find a way to escape across the mountains and survive. 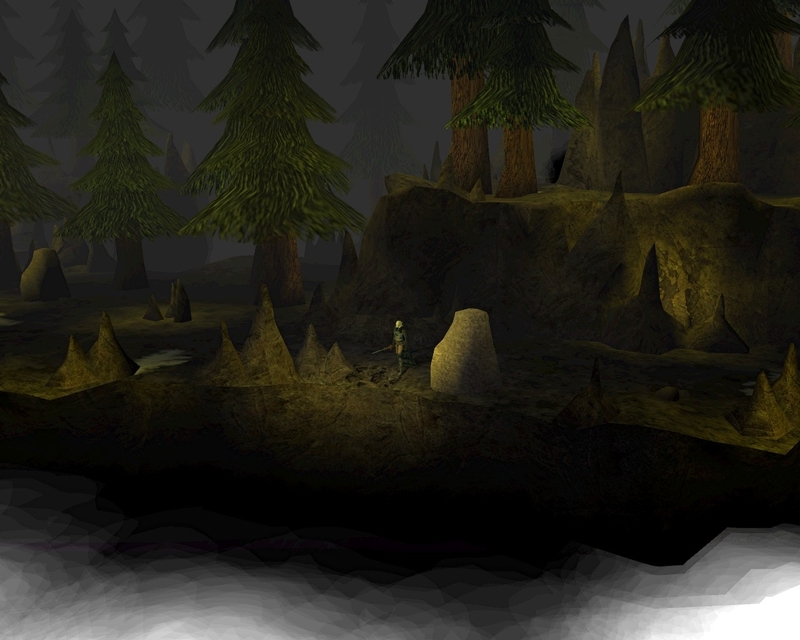 A group of adventurers (the Hunters) has arrived in the area and is intent on bringing back the Hunted, dead or alive. Is it for the large bounty on the Hunted? To strike a blow for justice? Or for personal motivations? PCs on both sides play a dangerous game, so only the cunning and bold will achieve their ends, be it escape or justice. Player Guide, DM Notes, Designer Notes, and Map of Damara included in the download package. Module is designed for party vs. party play, no DM required. File compressed with WinRAR, available at www.rarlabs.com. This is a sequel to Desperate Measures, but can be played as a standalone scenario. Ravenloft: A Requiem For Jander is stand-alone module that was slated to be the first in a series of DM-friendly, multiplayer-type modules, set in the AD&D campaign world of Ravenloft. Alas, the Mists work in strange ways and the series was never completed, but who knows what the future might hold. Please keep in mind; this mod was designed for use with a DM. That doesn't mean you cannot play it solo without a DM, but do not expect any quests or NPC conversations as most of the NPCs in the module are non-scripted. This module was heavily influenced by Christie Golden's book, "Vampire of the Mists" and her subsequent short stories, set in the realm of Ravenloft. I cannot think of any better writer that conveys the setting that is Ravenloft. Lord Ladurr has been far from all right these last few months since the loss of his mother. With each passing day, if he is seen at all - his actions, his words, his mind seems to be falling further from the man we once knew. And even now, as things are turning dark for the town Raven, their need for him is at its highest, or possibly a hero that will take his place. 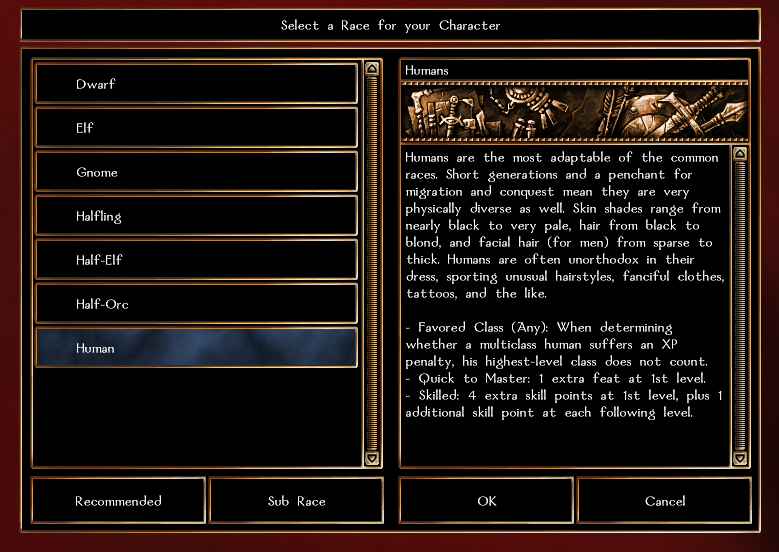 Pretty Good Character Creator / Customizer (PGC3) powered by IGIPE is a tool for building, equipping, and combat-testing Player Characters (PCs). It’s optimized for setting up "legit" characters to use in games where it's appropriate to start at levels other than 1. It also supports DM Friendly Initiative (DMFI) functionality. 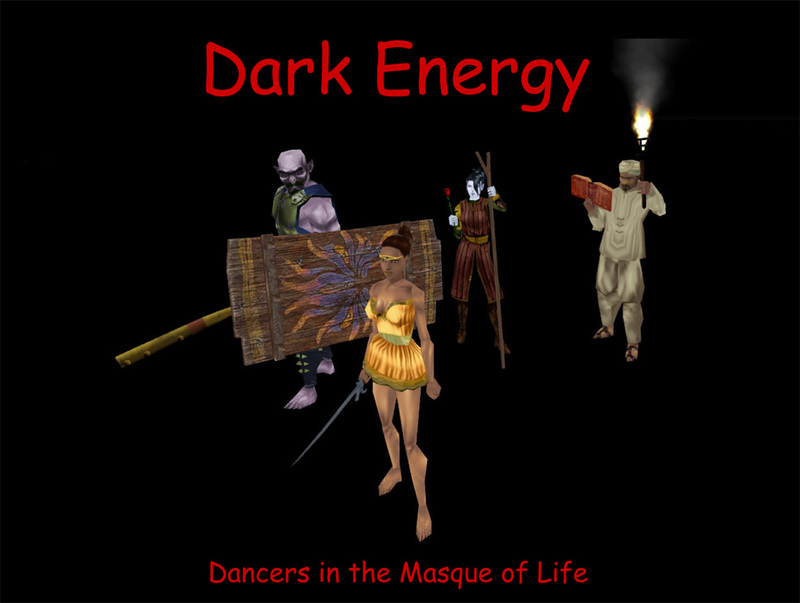 This is an update of my 2003 release, designed for team-oriented play by a group of 5-7 characters of 8th-14th level. 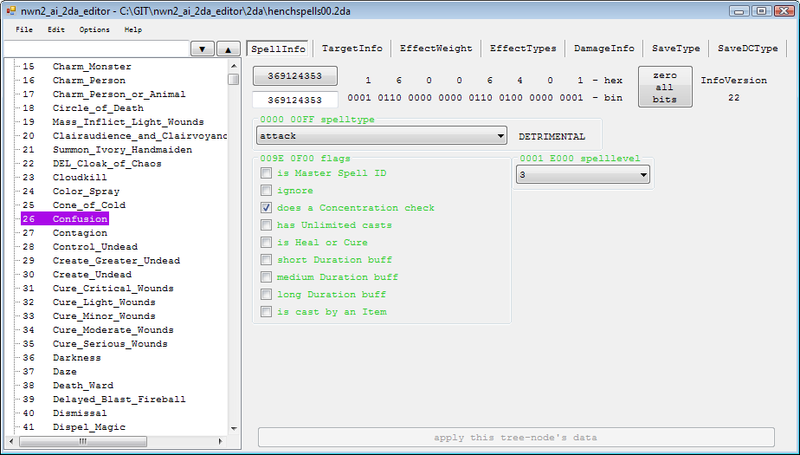 This version has the CEP installed, along with the HABD bleeding/death system and Demetrious's Supply-Based Rest. A Dungeon Master is required. Players must confront a threat that begins with some oddly powerful kobolds, and ends with a journey that will take them to the Outer Planes. The module contains over thirty areas, numerous NPCs for DM possession, dozens of custom items and creatures, and hundreds of encounters await your exploration. It is the Fourth Age of Uteria. For years, the lands have enjoyed peace. Muddles in Milton is a module for Neverwinter Nights 1 designed specifically with Dungeon Masters in mind. 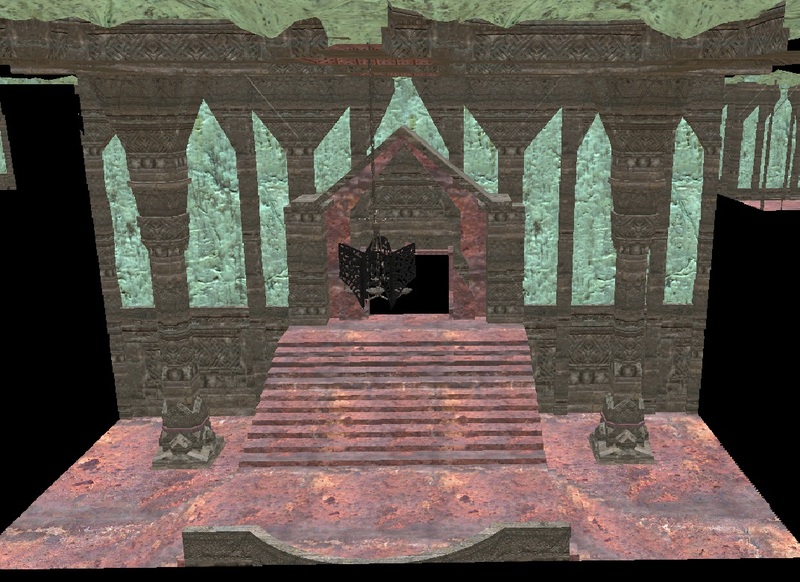 It is provided as a stage, complete with actors, ready for you to use in your role of Dungeon Master. It will not function as a single player game as a DM MUST be present. Do not download these files if your intention is to play as it may spoil your enjoyment of the game. This module is the latest in my Lazybones Team Challenge (LTC) series of PvP modules. These modules vary in style and objective, but they all involve competition between one or more teams to be the first to achieve a specific goal in the module. This version is the first to delve into the epic levels, and has players starting at 20th level with ample opportunity to gain levels in the course of the contest. Because of the time required to prepare a 20th level character, this version of LTC allows local-vault characters. 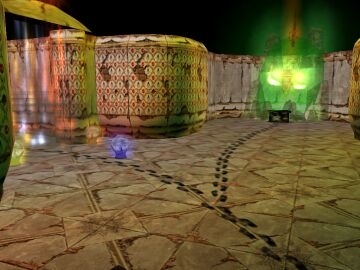 However, all characters are stripped of items upon entering the game, and begin with the same allotment of gold to purchase equipment in the starting stores before the start of play. 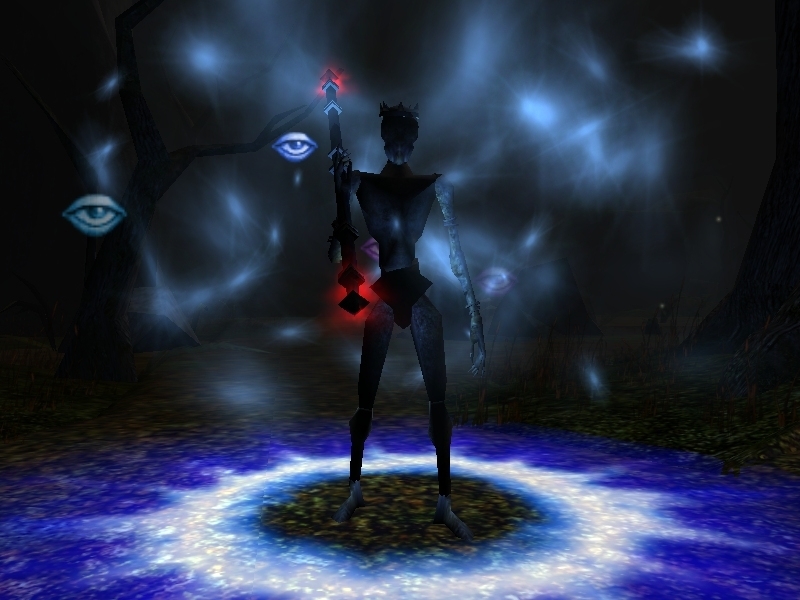 Play involves team of characters progressing through seven Challenge Areas to confront the Avatars of Forgotten Realms deities, who must be overcome in order to return powerful Artifacts to score. The first team to recover four Artifacts wins the Challenge. This module is basically just a compilation of several of my one-shots into a lengthier, freeform campaign. The material here was originally created to serve as a sequel to my 'Shades of Moonshae' campaign, which takes characters from level 1 to levels 3-4, but this module can easily be adapted to fit into any campaign world. As the module contains essentially five smaller modules connected by a single overarching plotline, it should be easy to add or subtract material as the DM sees fit. The module is best played by a group of 4-6 Server Vault characters starting at 3rd or 4th level, although the DM can adjust most of the encounters on the fly if necessary if the player characters are of different levels or numbers. A complete DM's guide is provided. 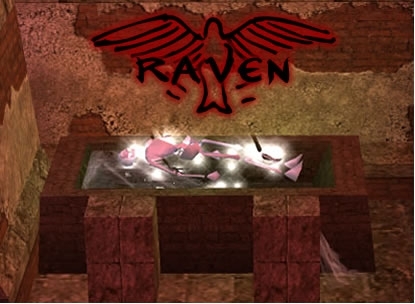 This game is a PvP-enabled contest involving two teams of up to five players each, who will compete to recover Victory Tokens scattered around a map of diverse and challenging areas. The module is for server vault characters who are issued gold and enough experience to reach 10th level at the start of play. While solo play is possible, the module functions best when two teams are competing to be the first to recover 4 Victory Tokens. This is a reissue of the original LTC that incorporates the material from the SoU and HotU expansions, and includes other refinements as well. A DM is helpful but not required. A detailed DM's Document is included with an overview of the contents of the module and a complete set of game rules. This is the NWCon Feature Module version of Elegia Eternum. It encorporates DMFI ver 0.4 (modification done by Felrazor of NWC) and DM docs (by Ochobee of NWC). It is the full version of EE, including the HAK and voice files. A party of adventurers assembles and is given the chance to speak with instructors on combat strategy, wilderness survival, and dungeoneering. The group then begins its adventure and is hired for what appears to be a routine job, which soon turns into a deadly situation. During the course of the adventure, PCs will be faced with different and increasingly difficult combat situations requiring effective teamwork and strategy. The party will learn how to most effectively use its strengths and avoid its weaknesses, or face the consequences of failure. Ample opportunity exists for roleplay, as thinking and planning are rewarded while blindly charging ahead will lead to trouble. 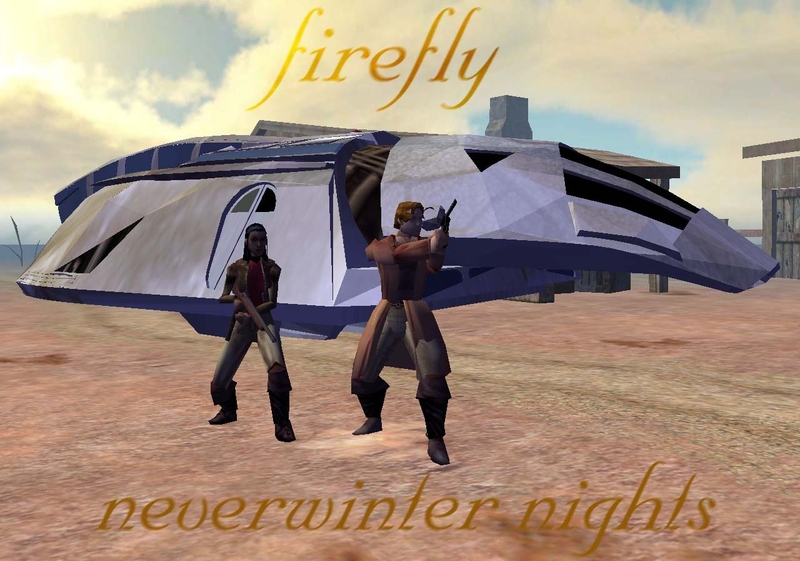 This is the Nightfire: Firefly NWN System. You have left your home town for your own reasons, and bought passage with a friendly elven captain named Lyell. He has brought you to Hajlimar, where he has left you to wander the docks. What excitement does the exotic port of Hajlimar hold? And who is this Baronness DeCallya you keep hearing about? 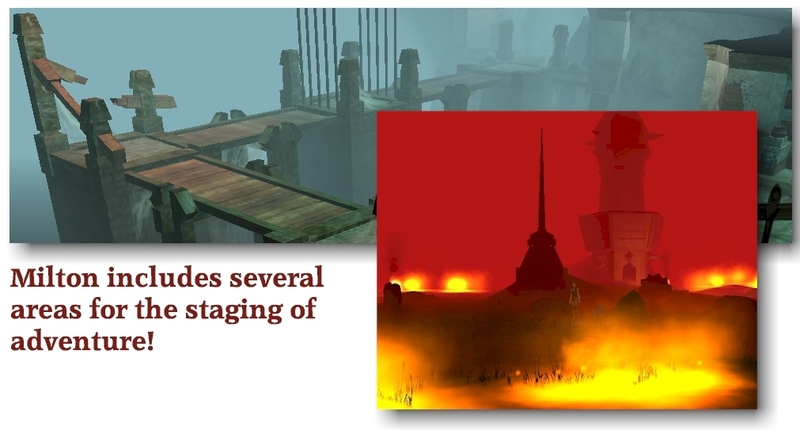 This module may be used as a follow-up to 'Torgan's Delve,' or on its own. The module has players coming to the aid Lord Dhelt of Elturel, on a mission to investigate bandit incursions from the forbidding Troll Claw mountains. This version uses the HABD bleeding/death system, and the Supply Based Rest designed by whistler and Demetrious. The DMFI wand package is fully implemented. I have also incorporated the full version of my City of Elturel prefab, so that the DM may expand the module to include more plots in the city. A complete DM's Guide to the module is included. 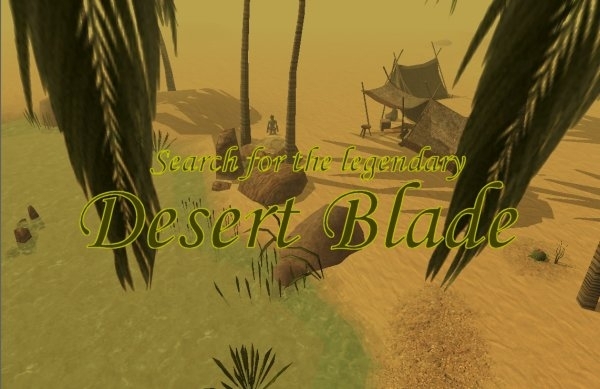 In the city of Zindalankh, near the Plains of Purple Dust, you have met with this man who needed help to find a great lost artifact in the desert. You agreed to follow him up as he was willing to pay you a good sum of money and your days of adventures have been rather boring lately. You purchase supplies at the local shops in Zindalankh and takes on a journey into the desert. After two days of travelling you stop at an oasis for the night, the next day you wake up, re-stocking your water supply. Then the short halfling man shows you a map. The old paper shows some location in this desert and... The rest is up to you! Participate in a tale of ancient prophesies, curses, gems of power, and imprisoned evil. You are on death row. You have only two days before you are to be executed. There are up to four others on death row with you. Challenge: survive. This is a multiplayer DM-only module that is designed to be customized for each session. This is a dramatic, DM-Friendly Module. Its purpose is to allow one character to develop an epic backstory that will provide many plot hooks and opportunities throughout that characters lifetime. The rest of the party act as companions, consciences and advisors, as the lead character grapples with the confusion, guilt, excitement and moral conundrums that the module places in his way. 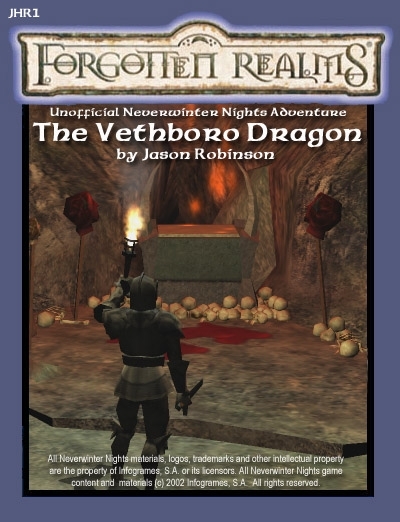 Although the adventure is centered on one character, in play, the whole party gets very involved: swept along by the magnitude of the story, and thrilled to be caught up in such momentous events.The story is inspired by a classic fantasy theme: a mysterious personality of enormous significance is reborn, and knows nothing of his past live(s) or what the future holds. This adventure is the second adventure in the Cairn Dell Chronicles series of DM Friendly Modules. It can be played as a single stand-alone adventure, or it can be played as part of a campaign encompassing the entire series. Characters are enlisted to help save a small village from destruction at the hands of the Lord of a neighboring town. As the plot unfolds, they begin to realize that this is a complex political situation, and there are no good versus evil conflicts here. It's all grey area. This adventure is great for players who enjoy ambiguity and roleplaying. The .zip file includes the module, the DM Guide, jpegs of the logo, and a jpeg map of the region. UPDATE: Small enhancements to tactical scripts. Added skybox support and more sounds in areas. This is the first adventure in the Cairn Dell Chronicles series of DM Friendly Modules. It can be played as a single stand-alone adventure, or it can be played as part of a campaign encompassing the entire series. 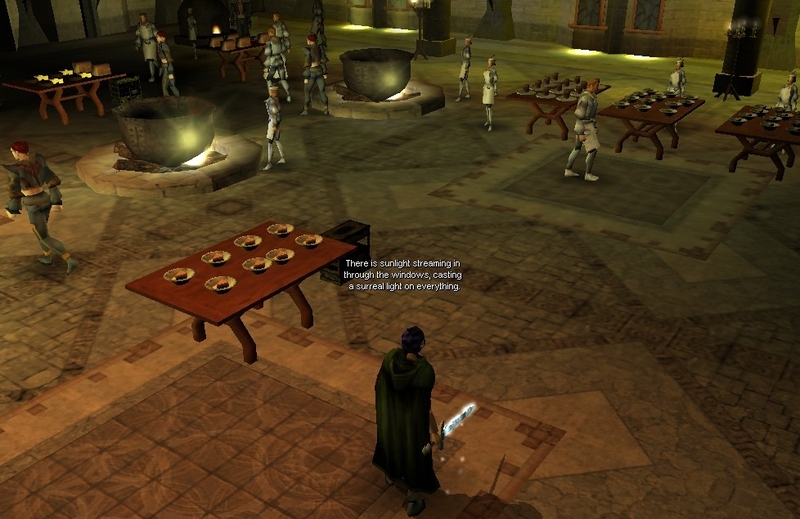 Characters are enlisted to find an old Elvish artifact by a local ruler. They soon realize that there is more behind their mission than they were told. 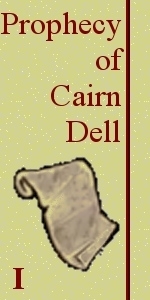 Events unfold that lead into the conflict of Rebels of Cairn Dell. Download is a zip file containing the module, DM Guide, area map, and adventure logo jpegs. 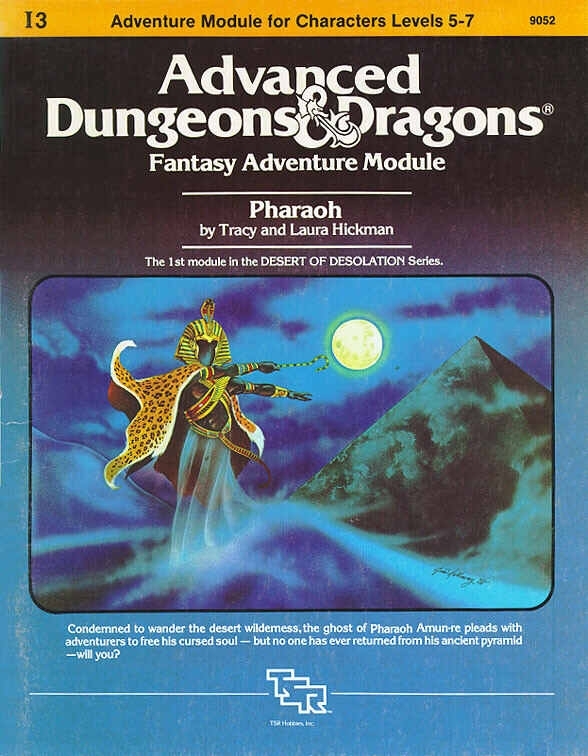 This module was originally used for the Official Advanced Dungeons & Dragons tournament at Origins ’79, and was the first in series of modules from TSR, the Competition Series. 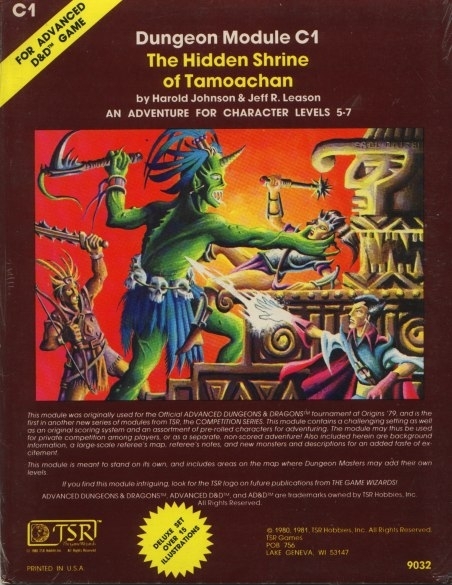 An adventuring group becomes lost and stumbles onto the hidden shrine of Tamoachan which is part of an ancient ruined city. This module draws heavily on Aztec influences. 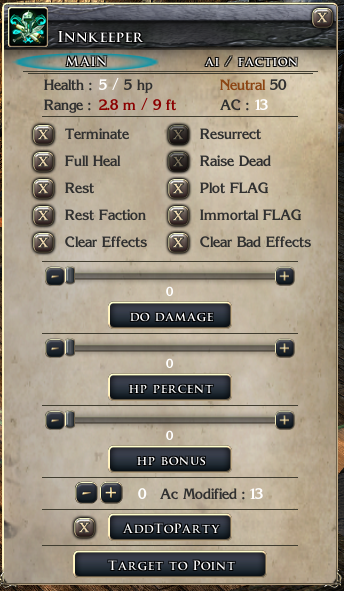 Many of the items in the modules have descriptions and occasionally a specific class, ability score, skill or feat may be required to complete a task or see a particular option in a dialog. If one character can not solve a particular puzzle another may be able to. Many objects and items in the module have descriptions and can be examined or used. 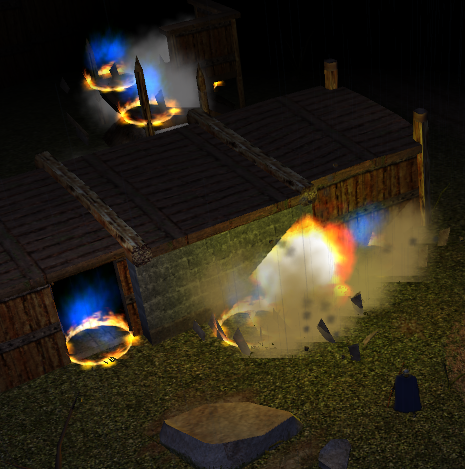 The module is heavy on tricks and traps, with some fighting. It is light on role playing. Many thanks to Lord Sullivan, for the wonderful HAK file he created. I am very pleased I was able to include it in this module. This is the final version of HCR as completed by the HCR Project. Many thanks to those who worked on the project over the years. This is a tutorial created by Lairythian for HCR using version 3.1. 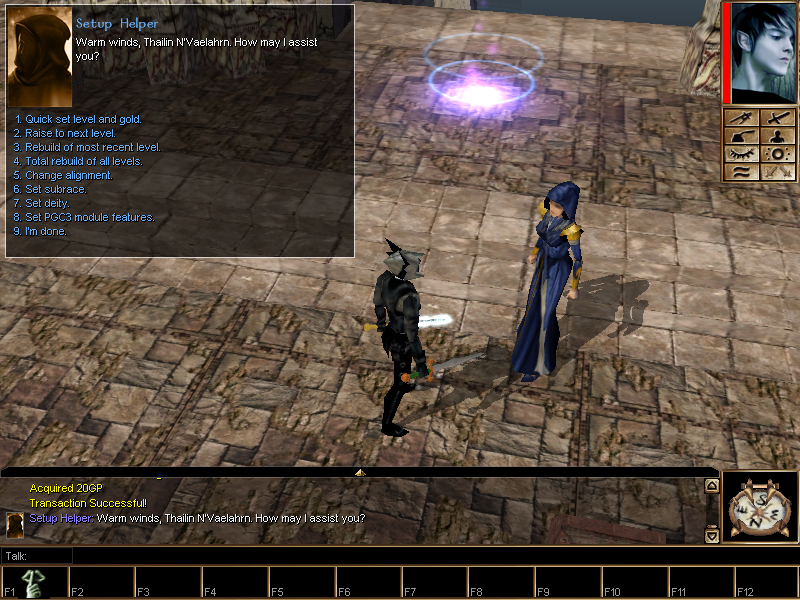 The tutorial includes Harkinian's HCR Henchman System v2.2.0. Note: older changes have been moved to the readme file included in the download. 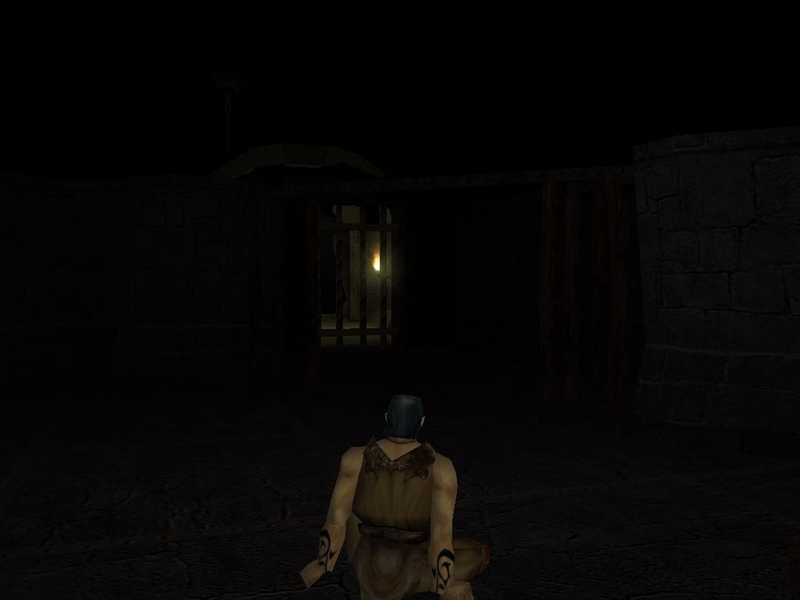 - Add DOORWAY placeables to any area you want to have a door. "This looks the same , whats new?" Trained as an elite courtesan, Ravenna Lightfoot seeks Queen Titania's legendary patronage at the faerie palace. An unusual adventure, featuring some of the excellent artwork from the Custom Content Challenge, CEP and elsewhere. This module is my entry into the random dungeon genre. 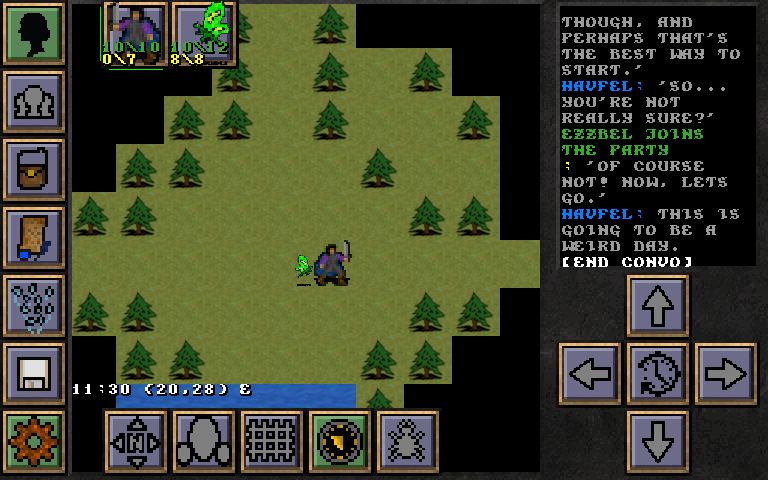 It is unabashedly Diablo-style hack and slash. This package will solve issues with the Brownie and Wermic races that have been added by accident on the lastest version (v.
This is short story designed in polish language. This tutorial will introduce you in how to import 3D models of creatures and characters in NWN using the "skin modifier" from 3D MAX.